Ian Bostridge has three decades’ experience with Schubert’s monumental song cycle. English tenor Ian Bostridge’s path to the stage has not been a conventional one. A former aspiring academic with a side hobby of singing German lieder, he only became a professional musician after completing a PhD dissertation on the history of English witchcraft and a postdoctoral research fellowship at Oxford. The depths of Bostridge’s curiosity and knowledge are on display in his book “Schubert’s Winter Journey: Anatomy of an Obsession” (Knopf). Each chapter unearths and unpacks historical context, musical secrets, and fascinating anecdotes related to the movements of the monumental song cycle “Winterreise.” In a co-presentation by the Boston Symphony Orchestra and Celebrity Series of Boston, Bostridge will perform “Winterreise” at Jordan Hall on Friday night. British conductor and composer Thomas Adès, an “artistic partner” with the BSO beginning this season, collaborates as pianist. 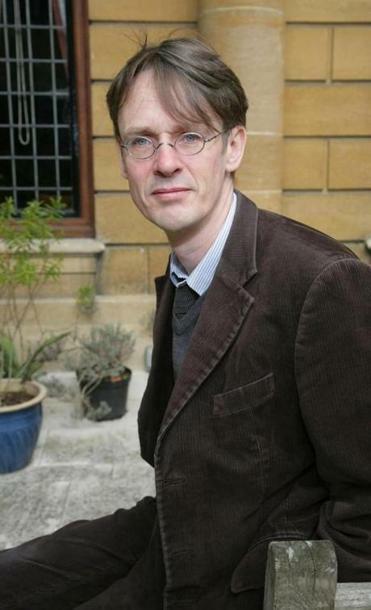 Speaking by phone recently, Bostridge commented on his over three decades’ experience performing the cycle. Q. What struck me about “Winterreise” is how it describes, through mundane images of nature and trees and snow, some of the most psychologically shattering experiences in the musical canon. How is it so effective? A. It’s effective partly in the way that Schubert always takes a simple musical idea and drives it through the poem, which intensifies in the course of the song. It also dramatizes so many human experiences: the relationship with nature, the feeling that nature is cold and not concerned with us, that we are alone. It’s very modern in that sense. Obviously, it’s been going on for centuries of cultural expression. But I think we’re very close to Schubert’s sensibility, and that’s why it affects us so much. Q. Is there anything you specifically do to prepare for a performance, to get in character? A. No, I feel it’s one of those wonderful pieces where for me, selfishly, I know it so well. I’ve been singing it since 1985, and it’s sort of in my bones. I barely need to rehearse. I can just react to what has come from the day and what I get from my partner. I don’t go into a special place beforehand, but it just happens during the piece. It’s so long, and you do go into a very strange place. A. Nothing consciously. Vocally, I feel the two poles of the piece are to sing it with a sort of expressionistic approach or a more bel canto approach, and I veer between the two rather than it being one or the other. I think I used to sing it more simply. I suppose it’s innocence versus experience, which are very Romantic terms from William Blake. I can’t sing it innocently now, which is a loss, but also a gain. Q. You say in your book, “The absurd and the comical should never be resisted in ‘Winterreise.’ ” Can you talk a little more about that? A. The protagonist isn’t just a saddie. He’s self-lacerating, self-mocking. I did the piece in Carnegie Hall as part of this tour, and there was a generally very nice review in The New York Times. The writer talked about the “shtick,” and I don’t think that was critical. He does some shtick stuff because he’s mocking himself, he’s teasing himself. He’s not bipolar, but his emotions zigzag enormously. Sometimes it’s absurd, sometimes it’s teasing. The proportions and relations change in every performance. Q. What makes these proportions change? A. What happened to you that day, what you get back from the audience, how commanding you feel vocally, the space that you’re singing in. The contribution of your partner, the pianist, is absolutely crucial. I’ve sung “Winterreise” many times with Tom [Adès] and he’s very imaginative about the things he brings out. There’s something new in every performance in that sense; it’s supple and beautiful. Q. Can you talk to me about what it was like to make David Alden’s film version of “Winterreise” in 1994? How did your approach change when you were performing for a camera? A. It was very frustrating at the time. I was still in naive mode, and I found the director’s approach very contrived and exaggerated. But in retrospect, I really appreciate it and I feel it really helped my relationship with the piece. Looking back it’s rather embarrassing to watch the whole thing, but I watched little bits of it when it was released. It’s a wonderful production and filmed beautifully, so I think it worked very well. Q. Do you have any inklings about what kind of “canvas” you’ll be painting on on Friday? A. It’ll just happen as it happens. We’ll see, and I hope it will go in a good direction. Interview has been edited and condensed. Zoë Madonna can be reached at zoe.madonna@gmail.com.